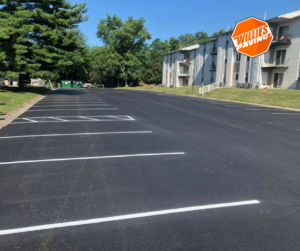 People believe that a simple line striping machine and a bucket of white paint is everything they need to create functional lines quickly, and fast. In reality, the process is not simple at all. Before starting line striping, you must learn some useful practices. Depending on the situation on the field, there are three types of stripes. Resurfaces restripes, restripes and new strips. Parking stripes have four inches full and 15 to 18 feet long. Striping companies planning the layout of every type of line and calculate the edge for every layout before beginning the work. They apply a word coming from tailoring: “measure twice, cut once.” This big saying emphasis on the importance of a good plan before beginning the line striping task. The right painting is a must. 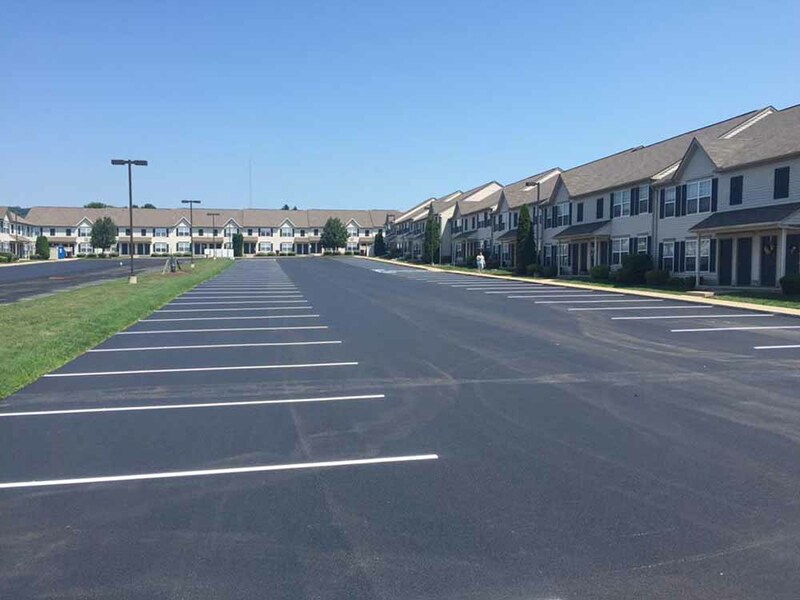 The paint characteristics establish the line striping quality. Research must be done to know which paint is suitable for the line striping type. Paint oil-based Alykd is recommended for new layers and restripes. Latex is often used for resurfaced lots. Latex paint fits the line new layout and restriping. You can strip a new line using two coats / 15 mils thick. The first coals fill up the asphalt. You must wait until it dries, then the second coat comes to get the millage. Parallel parking angled at 90 degrees but parallel to a border having perpendicular lines. Typical compartments have at least 22 feet passages between compartments, but the recommended value is 24 feet. In the case of angle parking, 16 feet are necessary between compartments, at least 12 feet aisle for parallel parking. In the case of parallel parking, 22 feet are required. The municipality guidelines are an excellent guide to find detailed information about stalls measures. Get the best line painting art! 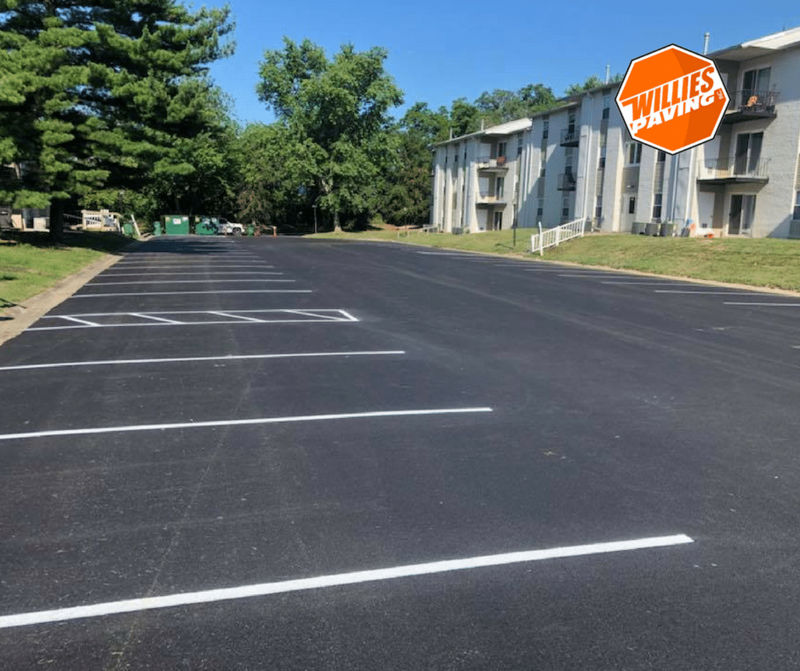 Parking lot lines striping is a great way to make a property look awesome while you save money. You need only a paint stripping an appropriate color. For small jobs, you can hire a specialized firm, to help you to choose the right plan and the best paint. The tools are not expensive and very complicated. A specialized firm can explain with clarity on how to use them. Good advice from the blog owner: take notice of his knowledge and experience and choose the best paint and tools. A large variety of marking is designed on all the roads to help people drive safely. Arrows, lines, double lines, divided lines, zig-zags, chevrons, parking marks, everything made to ensure secure traffic. Here too, the word “skill” gains importance. If you have a surface that need s stripe refresh, start with a plan. Professionals customize the best solution to fit the customers’ requests, as well as his budget. Never use cheap latex paint. The low-quality paint will not stand up to high traffic area and will last only for a limited time. High-Quality acrylic paint is the best option. The lines remain bright, last a long time. The customers can rely on this kind of color. Remember to always use the right road line painting equipment. 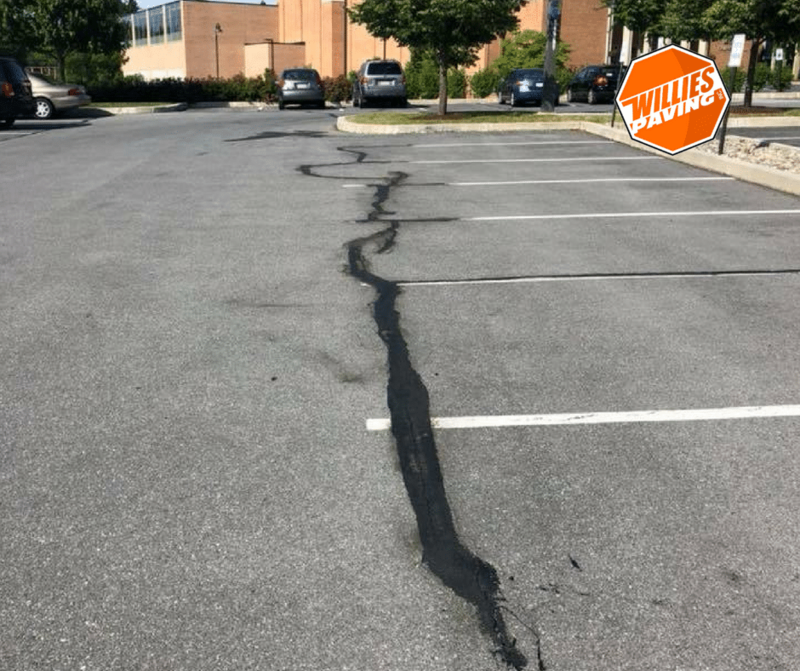 This is easy to do with a road line-painting machine. The road surface is marked to respect official information. The lines and signs are placed with specialized equipment (road marking machine). Hatched lines are used in the center of the road to separate the flows of traffic. Often these lines are placed to protect traffic turning lines to the right. Chevron road markings with a solid line form a continuous limit to forbid from entering. This type of signing is to prohibit from entering in motorway slip-roads. The double yellow line is painted to separate two lanes of the road. Two parallel solid lines indicate a non-passing restriction. Crossing the border is forbidden. The zig-zag lines indicate motorists that they are near a pedestrian crossing. Double white lines are solid lines indicating a barrier between regular use and a preferential use lane. It is prohibited to change lanes while in the double parallel lines or near a freeway. Road markings are necessary to guide traffic. Critical in urban roads, intersections, the marking ensures flowing traffic. The line paintings supplements are supported for messages on the road and signs. Stop and go, traffic segregation, way instructions, two lanes to one lane, one way, and pedestrian crossing. The primary requirements are night visibility, wet night visibility, and day visibility. This can easily be done by a road line painting truck. You can also buy a used highway striper. No passing zones are created on the roads where the central median is not created, and the traffic is permitted in both directions. A solid yellow line along the center or a double line makes a substantial barrier. Solid lines are also called barrier lines when a solid line is at the right of the broken line; the restriction applies only the opposing traffic. The stop lines should be parallel to the direction of approaching cars or to the intersected roadway. Double stop line is preferred. Marking at rotaries on existing roads are indicated by arrows and signs placed at the edge of the island. The roadsides are painted with vertical white and black stripes. Cyclists and pedestrian must be provided with appropriate markings. Physical obstructions, such as transmission poles, monuments or trees, towers are not allowed. There are exceptions, but the necessary measures must be taken to ensure traffic safety. The approach to constructions is designated to deflect the traffic from obstruction using diagonal chevrons markings or diagonal lines. Marking of parking space establish boundaries on roads to develop proper use of parking spaces. It prevents the parking on bus stops or fire hydrant where parking is not allowed. Parking restrictions are indicated with solid lines. The parking space can be marked with words such as CARS, TAXI, MOTORS to show the parking space allowed for each vehicle type. 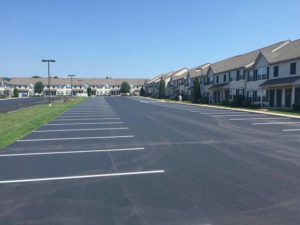 Be sure to work with road line painting companies that have the professional car park line painting equipment. Our line artist has also experienced with highway line painting trucks. A zig-zag yellow line indicates parking restrictions. Parking limits are shown on the surface by white lines. The blog visitors can obtain a real profit using our content. Reading has some benefits; some generate profit. No matter how much stress someone has regarding the line strips, the blog offers valuable information. Another advantage is knowledge. Everything you read fills you with useful information; you will be better prepared to face the challenge before you. An unexpected benefit is the peace of mind. Once the necessary knowledge is acquired will be more relaxed and optimist. Be sure to check out our line painting images. Get your line painting issue fixed today!